I had the opportunity to help out at our GenRev cluster’s Christmas party. Stage fright is something that I’m always trying to overcome – but it’s been years and it’s still like that. That’s why I never seek opportunities to be on stage despite loving singing. Small group sessions are much more comfortable. How can one still sing with her heart pounding and veins constricting and ears, face, chest turning red?! Nonetheless, was a pretty fun experience being on stage with Immanuel. Ben, who’s awesome at guitar, was on my right but cropped out. 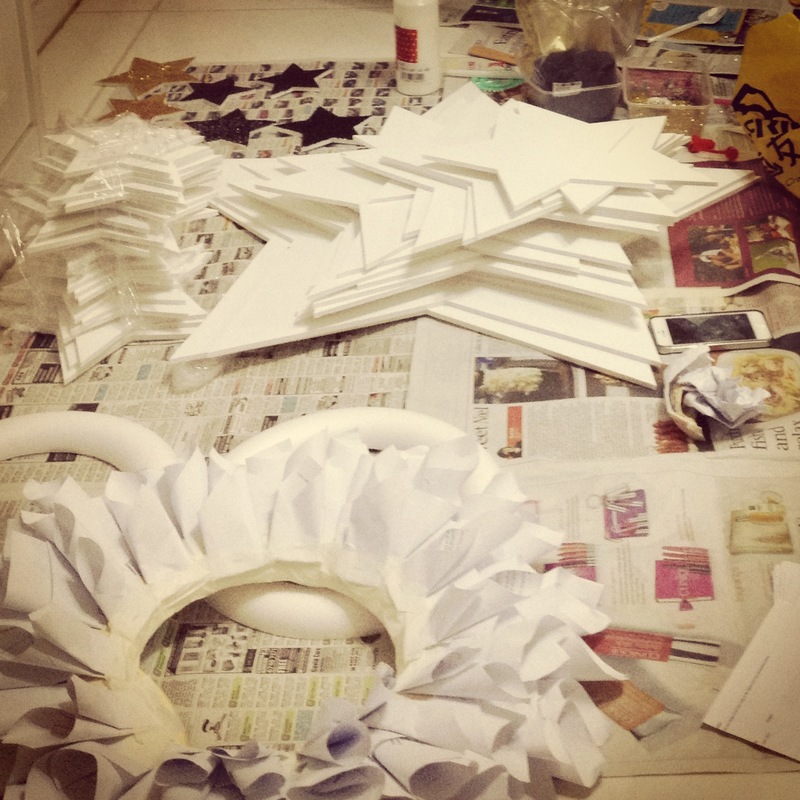 And because it’s the school holidays, I helped out with some decor under Peiling. 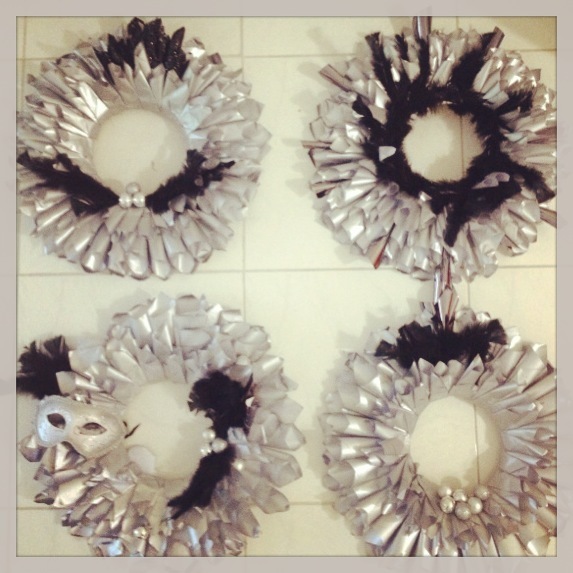 Namely glittered stars and silver Christmas wreaths. Tried one out with some Daiso paper.